South Vietnam's President Diem was overthrown in a military coup. The coup took place with the tacit approval of the United States. 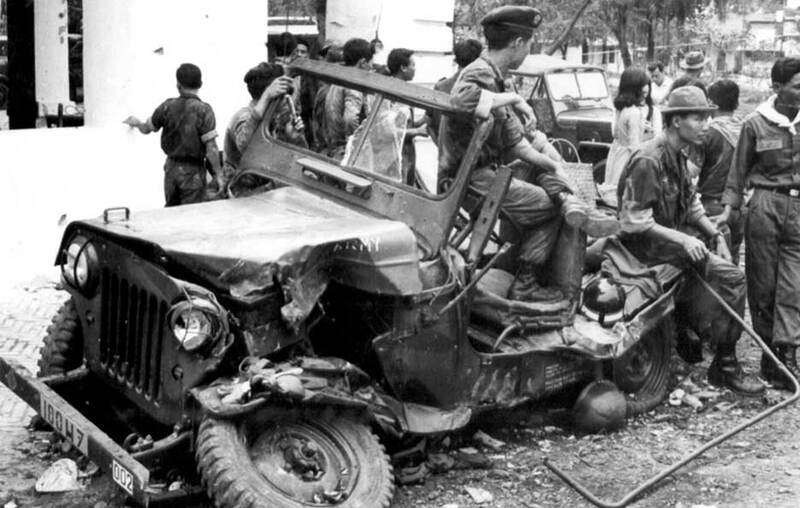 Diem was killed during the coup, despite assurances that he would not be. The United States had hoped that by overthrowing the unpopular Diem, it could strengthen the opposition to the communist Viet Cong. After his confrontations with the Buddhist it was becoming clear the South Vietnamese President Ngi Dinh Diems was too unpopular to successfully fight the war with the communist. The US government led US Ambassador Lodge had concluded that a change of leadership was needed and began to work with military leaders to encourage a coupe against Diem. Lodge believed that cutting off US funds to South Vietnam would provide the impetus to begin a coup. President Kennedy delegated the decision of when to withhold aid to Lodge. Kennedy was unsure of whether to fully support the coup but was convinced the Diem was problematic at best. On September 2, 1963 he gave an interview with Walter Cronkite in which he said the “regime has gotten out of touch with the people”. The Vietnamese general had a difficult time organizing even with American help. Finally on November 1 they began their coupe. Troops quickly circled the Diem’s palace. Others quickly captured the police station and the radio. Diem in the palace was convinced he had enough support from key generals. As he held up in the palace he contacted one of his key generals, only to be told that he should resign. He then called Ambassador Lodge for help. Lodge who was fully supporting the coup said to him “If I can do anything for your physical safety, please call me.”. The generals in charge of the coup called him and told him if he surrendered they would provide him with safe passage out of the country. He refused but soon determined that he would not be able to hold out in the palace so he and his brother Ngo Dinh Nhu secretly fled the palace. The fight over the palace continued without them, but they headed to the Chosin section of Saigon where they had established a hideaway. Diem had hoped to reach out to military leaders who he thought were still loyal to him. He was shocked to find out that instead of support he was told to surrender. At this point he realized that he had no options and agreed to surrender in return for safe passage out of the country. The generals in charge of revolt sent an armored car to retrieve Diem. On the way back to army headquarters Diem and his brother were murdered. To this day it is not known who killed him and why.